JACKSONVILLE, Fla. - The board of directors of CSX Corporation announced Friday that it has unanimously named James "Jim" M. Foote as the company’s president and chief executive officer, effective immediately. Foote was named acting CEO on Dec. 14, after E. Hunter Harrison was placed on medical leave. Harrison died two days later. Foote will also join the company’s board of directors. Foote is a senior executive with over 40 years of railroad industry experience in finance, operations, sales and marketing. 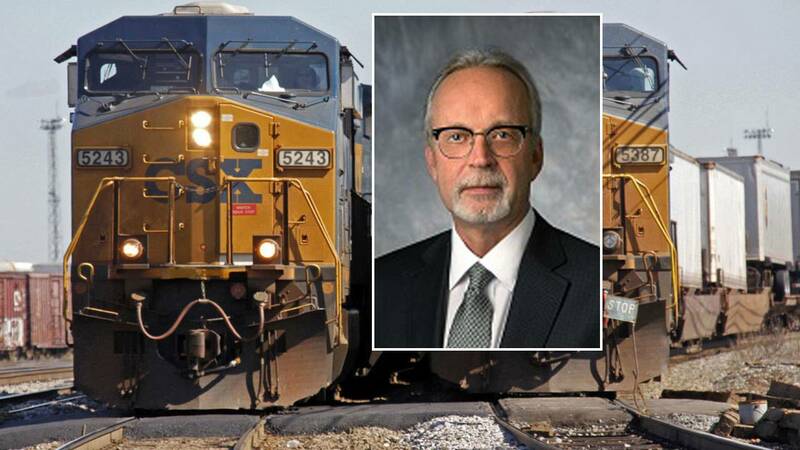 He was named executive vice president and chief operating officer of CSX in October 2017.